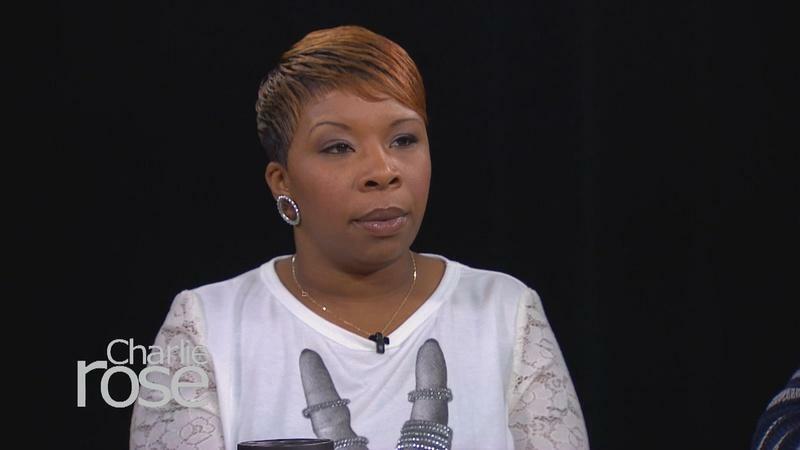 Michael Brown's mother speaks about her son's death. Airs 11/26 at 11 p.m. ET. Michael Brown, Sr.: "That Hole Will Never Be Filled." 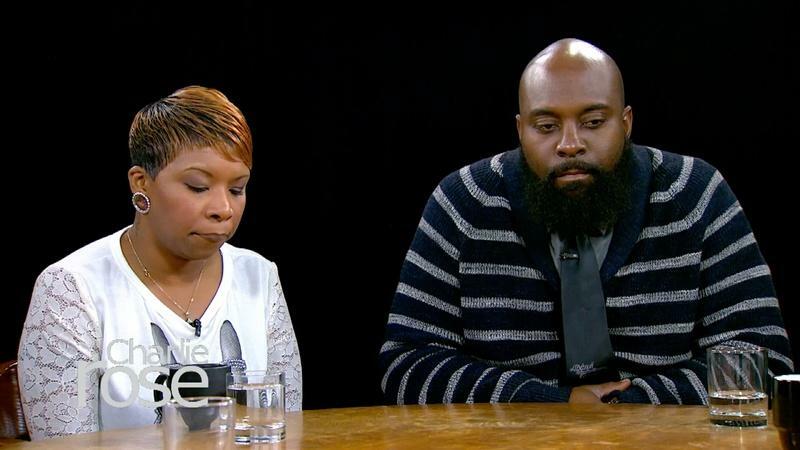 Michael Brown's parents discuss their desire for justice. Airs 11/26 at 11 p.m. ET. 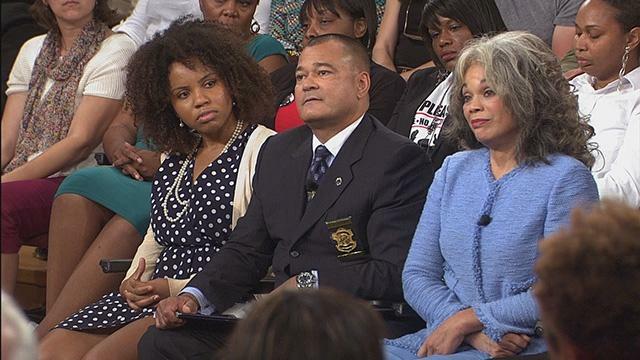 Police representatives from the three big cities discuss the police response in Ferguson. 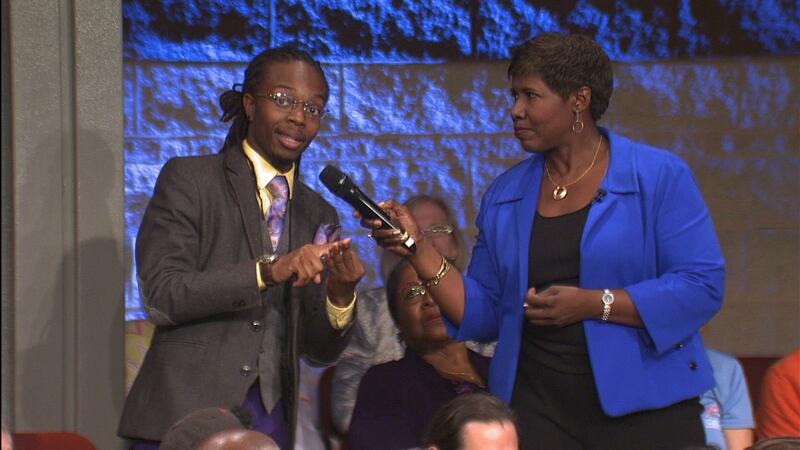 Audience guests are asked to contribute their six words to NPR’s Race Card project. 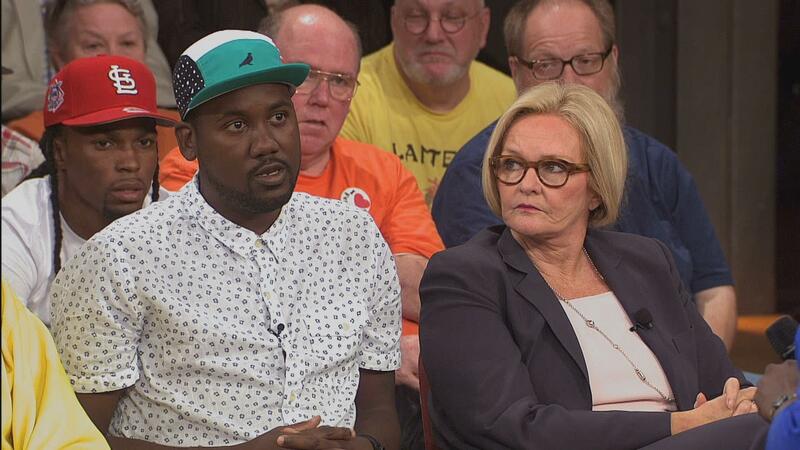 What is the takeaway from Ferguson? 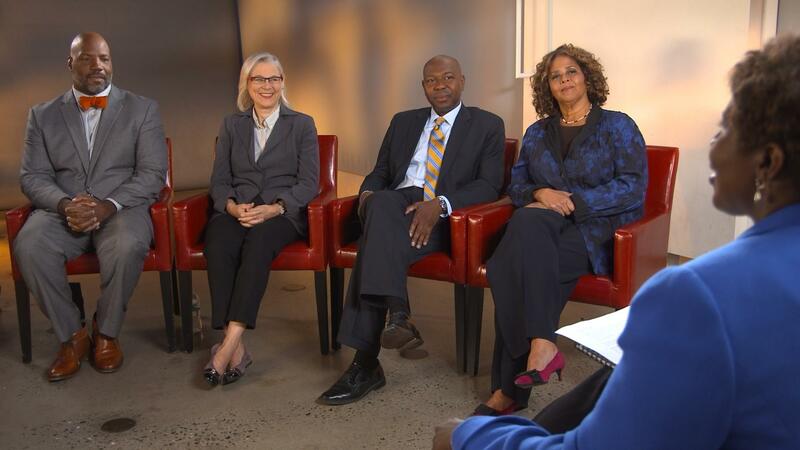 Gwen Ifill and panel discuss the political divide in America and the groups who have a vested interest in keeping racism alive. 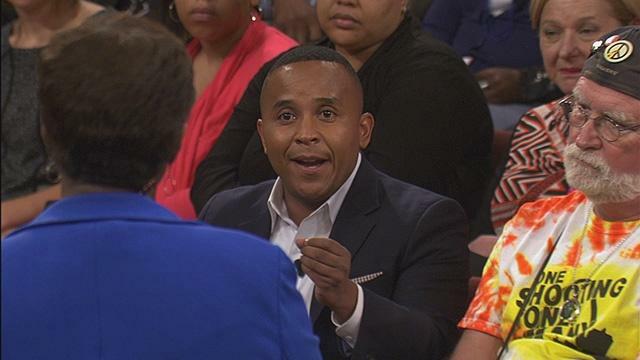 Audience guests discuss systems of bias and what they look like in America today. 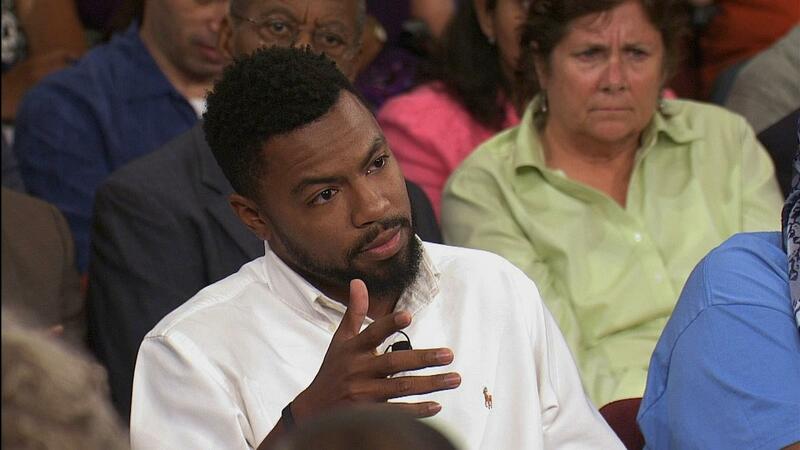 Town Hall audience members answer questions about racism and the privilege of being white in America. Social media became a tool for many across the country make their voices heard. 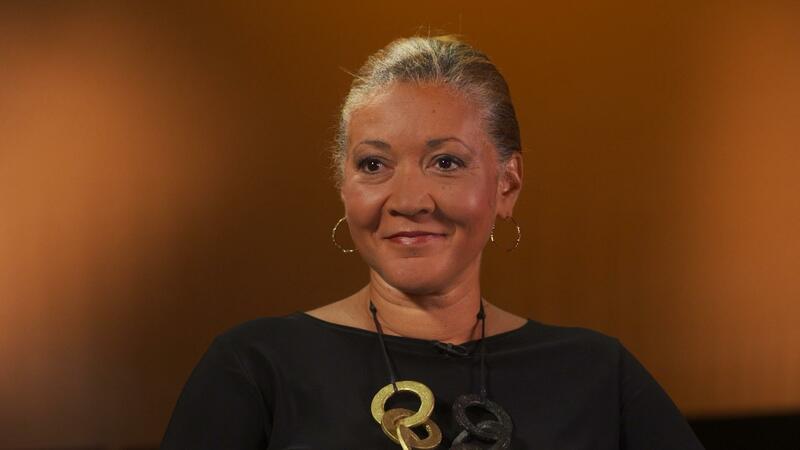 Michele Norris talks to Gwen Ifill on events in Ferguson and how they reflect issues and themes that are prevalent in the Race Card Project. What Would Your Lanyard to Eradicate Racism Say? 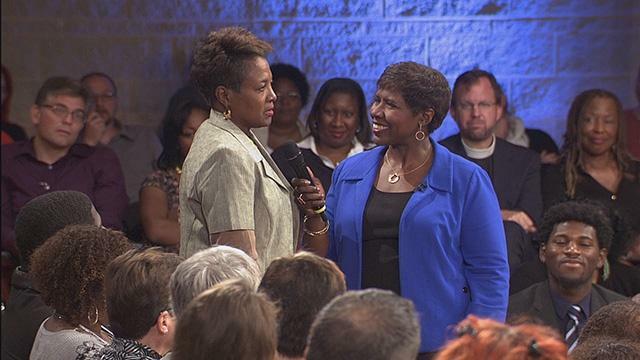 Gwen Ifill and panel discuss racism in America and how to eradicate it.